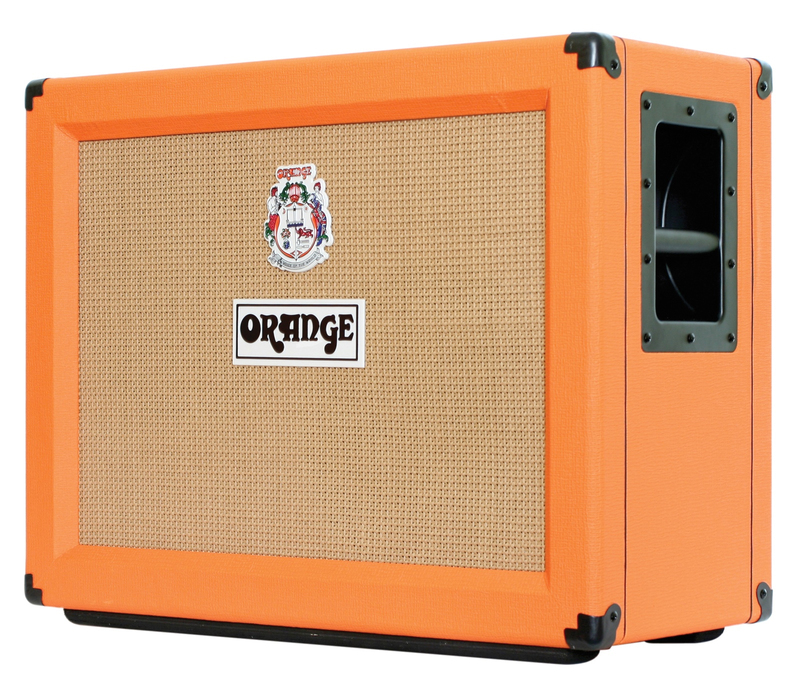 PPC212C, 2x12 Guitar Cabinet from Orange in the PPC series. small recipe: -take a gibson (sg prfrence) if you have a well wall is even better. -dcortiquez part for stuffing a sh4 (seymour ducan) cot easel. -Find a combo marshall jcm you 800 30 years of age, extirpate his head to keep the juice. -Connect to 2 dozen inches of oranges. (Orange ppc 212) let ripen for 20 h (lapping hp) -allumez your head low heat for 2 min. 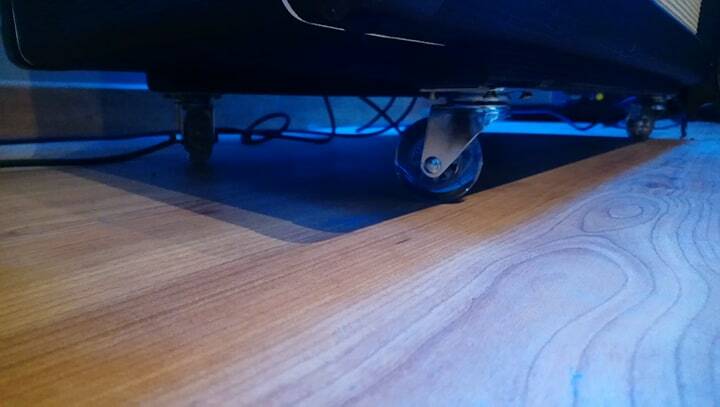 (Prchauffage lamps) -Cut a good slice of gain, do not hesitate. -saupoudrez slightly treble, and presence, not too much otherwise it quickly becomes strident. -Put a good low dose (I put the whole pot, background) -Add the mdiums as you feel and you can use it. consume without moderation and above all very hot <img class="smiley" src="/images/audiofanzine/interface/smileys/icon_mrgreen.gif" alt="mrgreen" /> finding this cabinet is beautiful. fabbcrich's review (This content has been automatically translated from French)" NAZE"
Heard in concert: not so personally owned (and fortunately), I have tried a lot of speakers on which I played in concert and my homemade speakers. Big bass with V 30 it hides some things, they are deaf, smothered to death and precision dribbling 0/10. Mediums well ahead, full, thick, warm, not screaming (rare enough to be mentioned), but also ..... strangled to death and always drooling .... a grain rather a crunch with a hi-gain amp which usually sends a big distortion. Treble ........ I do not hear the boards, even at 2 meters from the cabinet with the boost for solos. To summarize: in concert unusable if not transplanted and must send the sauce, and yet .... bass is good, but if it was not for mids and highs out of the mix we will not away. Plywood is not THE best materials and saw the pictures the cabinet has no bracket or wall to stiffen carpentry, even for a 212 this is an important detail, so joinery poorly designed. 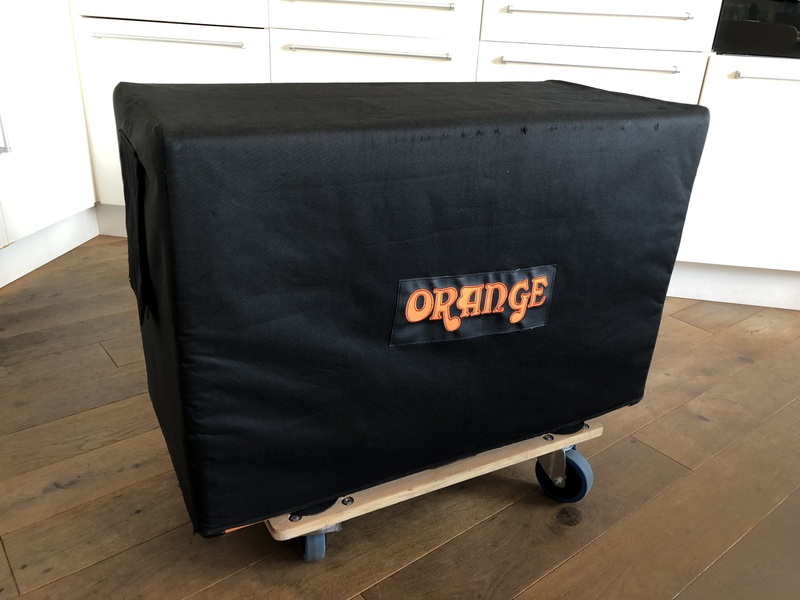 Orcha's review (This content has been automatically translated from French)" Top"
Construction at the top, 18mm thick 13-ply birch plywood ... 38kg with V30 ... The tough and back pay the price ... Closed cabinet. The cabinet is quite imposing H = 53 x W = 78 x D = 38cm for better sound projection (RRP = Power Projection Cabinet). It is true that it is expensive, its price has also increased since I bought it, but the quality and sound reproduction, I'm not saying it's worth but I'm not disappointed. 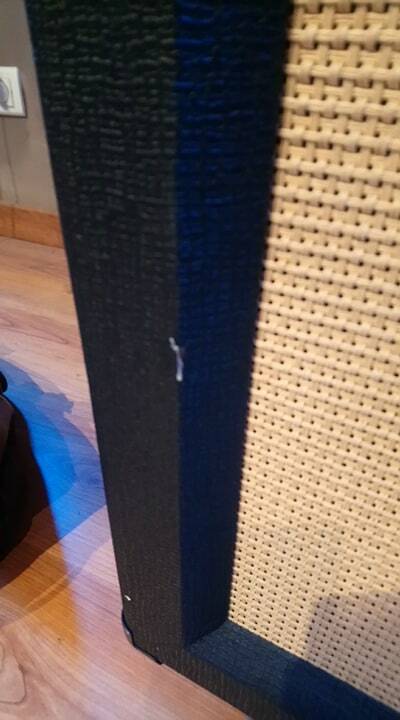 I tested other 2x12 cab and it is one of the best on the market. Finally, I use it with my head AD30HTC Orange and it's just the foot. However, it is regrettable that it is mounted V30 because with my EL84, the G12M25 marry much better for MY ears ... and the sound is fabulous, I repeat, in my opinion (and those who have heard the difference). That said, it is true that the V30 is very popular so many good guitarists. Finally it is up to us to change depending tastes. 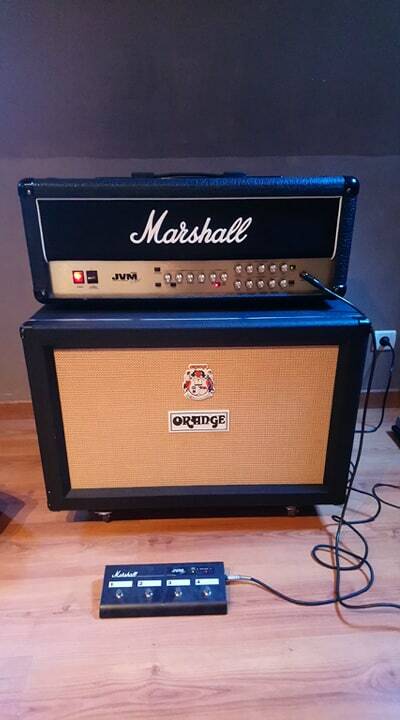 jerem's's review (This content has been automatically translated from French)" Certainly one of the best 2x12 Market"
I use it with my head Rocker30 since July 2009. The cabinet is closed and weighs about 40kg (not easy to lug around). It is equipped with special feet that transfer best bass from Orange (? ), And especially of 2 Vintage 30 12 inch 8ohms each connected in series for a total of 16ohms. The build quality is simply the top (birch plywood), the strength can be felt immediately (if there's only wear it for noticing! 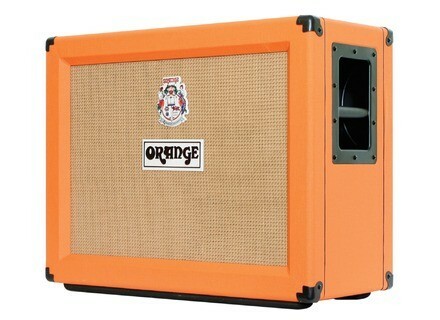 ), The orange Tolex the most beautiful effect and grillcloth is superb. In sound, there's nothing to say, this superbly planned, see too well provided with the V30 in mediums with their characteristic hump, but it sits well with Orange amps. It just may regret the choice of V30 to its critics but also the fact that it is not declined G12H30 70th Anniv also, however, used by the brand on cabs anniversary or some combos (eg TT), which could have leave a choice and more. In short, a super cab to put your favorite HP if you do not like knowing that a V30 cab closed usually brings more midrange and bass more strained, a more prescriptive and less "3D" stifled but not more unlike to what some people think, just a different cabinet open. I do not put 10 because perfection does not exist and we can always find him qqchose (the choice of V30, weight, wiring series instead of parallel and that knows what else ...) but it's really super cab advisor.